Ellie Mae Moore, infant daughter of Cameron Lee Moore and Lilly Mae Scott, a resident of Chillicothe, died Monday, September 3. A Chillicothe resident, Leona Geraldine “Jeri” (Weaver) Faubion, 87, died Saturday, July 14. A Chillicothe resident, Jerry “Joe” Stuver, 70, died Thursday, June 28. 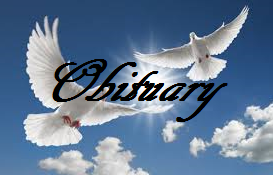 Susan (Susie) Marie Smiley, of Chillicothe, Mo., formerly of Orlando, Fl., died Saturday, June 9, 2018. A Wheeling, Mo. resident, Doug Howe, 61, died Friday, April 13, 2018.